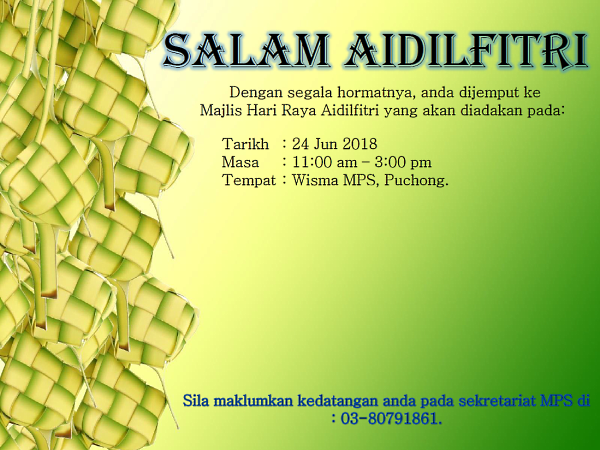 You are cordially invited to a Raya Gathering. This gathering is to foster our strong and close community among the pharmacist fraternity, and also as gratitude to those who has been supporting our beloved Malaysian Pharmaceutical Society. All Pharmacists / MPS members are welcomed to join and celebrate this festive season with us. Personal contributions are most welcomed by generous pharmacists. Favorable contributions include cash contributions and door gifts. Pharmacists may also contribute beverages and meals during the event (potluck basis or sponsoring a dish). The MPS CP chapter is calling for volunteers to serve in this committee. Essential CPD for community pharmacists. Meetings will be held in Klang Valley. CURIOUS TO KNOW CAREER PATHS IN A PHARMA INDUSTRIAL SETTING? Endorsed by the National Institute of Health (NIH) Malaysia, the 1st PIPI aimed to promote in-depth insights on the roles a pharmacist can play in both local and multinational pharmaceutical industries. This year, in collaboration with the National Young Lawyers Committee, PIPI 2.0 is once again back to explore the diverse landscape of career opportunities in pharmacy profession, apart from the more traditional options of being a community or hospital pharmacist. Come and connect with individuals from the industry at PIPI 2018, a platform ready just for you! Hereby is the link for the registration form. Go book your seat now! The 10th National Pharmacy Conference 2018 is an event organized by the Pharmaceutical Services Programme in collaboration with the Malaysian Pharmaceutical Society. The conference takes place every two years, providing a platform for pharmacy and healthcare personnel to share research findings and expand their research networks. It is open to all pharmacists and healthcare personnel from Ministry of Health, Ministry of Higher Education, Ministry of Defence, pharmaceutical industries, community pharmacies, academia and other public and private agencies. At this year's conference, the subject of value-based approaches in improving access to medicines will be explored and discussed. All researchers are welcome to submit abstracts under the following tracks: Quality Use of Medicines (including regulatory pharmacy and pharmacy enforcement), Clinical Pharmacy, Pharmacoepidemiology & Drug safety, Health/Pharmacoeconomics, Impact of Pharmacy Services to Healthcare, Health Informatics & Research Tools.